Bead Size 10- 12 mm diameter. Please see picture with penny for size comparison (US penny is 19 mm diameter). 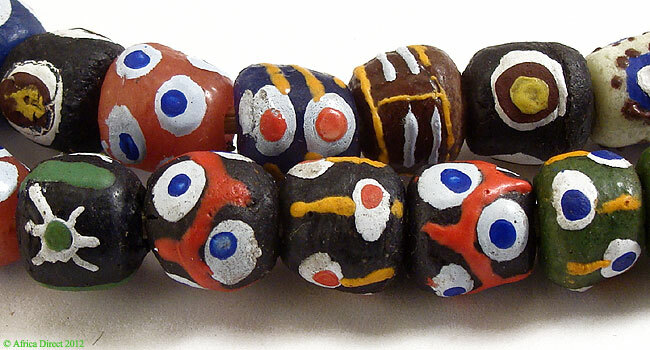 A wonderful variety of handpainted Krobo beads--great colors and designs! 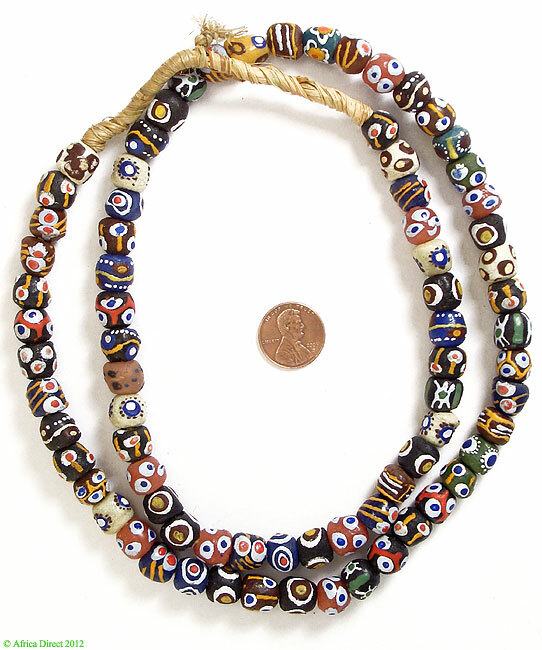 Additional information: These great beads are made by the Krobo people of Ghana. Powder glass beads are made by crushing glass to a fine powder and heating it so that the particles fuse together. The glass is then poured into clay molds, with a cassava leaf stem used to make the hole. They are baked in an oven and the glass fuses and the cassava stem burns up. This technique has been used in Africa for centuries. Further reading: For more information on how powder glass beads are made, please see Ornaments From the Past: Bead Studies After Beck (Bead Study Trust).